I Would generally be very busy all the time, normally I don’t get a minute to myself however I wouldn’t have it any other way. Being a jockey certainly isn’t a part-time job, it’s somewhat of a case of “ all or nothing”. Every morning I’d be either riding out at Kevin Prendergasts or Micheal O’Callaghan’s yard. Each Friday I head down to Joseph O’Brien’s yard in Kilkenny. I’m lucky enough to have the support of so many leading trainers. I always try and sustain my fitness, getting that edge on the racecourse is what you want. I attend Wayne Middleton’s gym on Monday and Wednesday evenings, the never-ending work Middleton does for us jockey is nothing short of outstanding. The rest of the week I use the excellent amenities at the Keaden hotel. My fiancé Sarah-Jane Hannon prepares all my meals, which are always healthy and to be fair to her they are delicious. I am fortunate enough to have the support of my loving family, they grasp my demanding weekly regime isn’t ideal however when I’m not riding out or undertaking something racing related, spending time with my them is my foremost priority. Myself Sarah and my son jack really enjoy going to the cinema or going away for the day somewhere. Being a jockey isn’t a lifestyle choice that would suit everyone however If you work hard enough you can attain the best of both worlds. 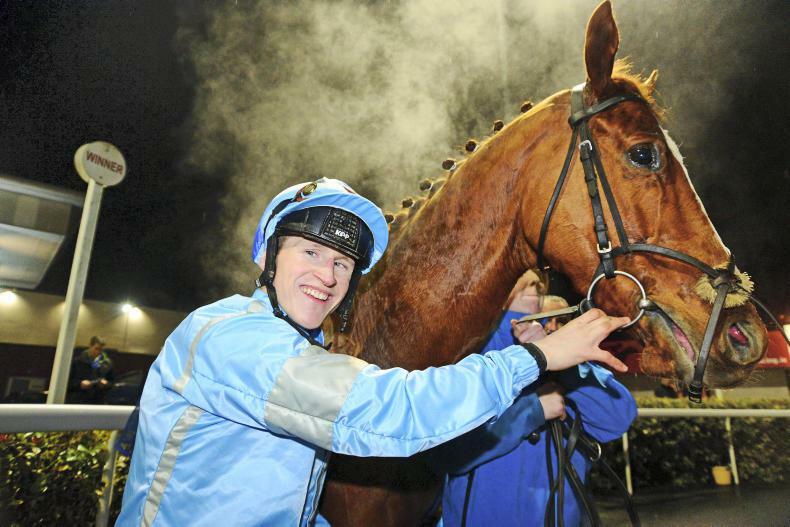 I’m really looking forward to the fresh flat season, till then riding winners at Dundalk stadium over the winter series is the ultimate goal.